Lipa and Fried Going on Tour! Coming off of a fun filled summer season of spectacular Jewish music concerts all over the world, we are ready to open up the winter season! 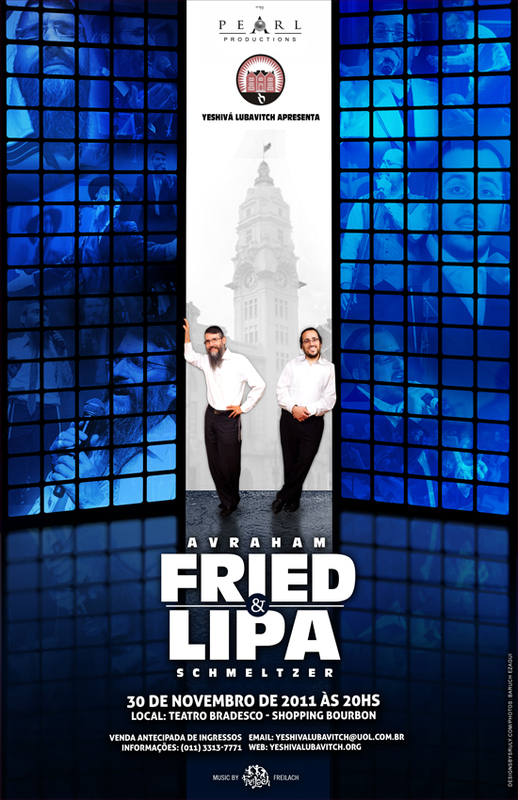 Here comes an electrifying tour with two of the undisputed legends of Jewish Music, Avraham Fried & Lipa Schmeltzer. Both residing in NYC, they will be hitting up the shores of South America, accompanied by the extraordinary “Freilach Band” of NYC. This will be a historic tour featuring two biggest names in Jewish music! “We’ve been preparing for this for months now. We are extremely excited to put into place many of the exciting plans that will ensure the highest caliber concert during this tour.” says Yaron Levy,of Pearl Productions NY, producer of the concert. They will be performing a number shows around South America, for dates and locations stay tuned to your favorite Jewish music or news website.